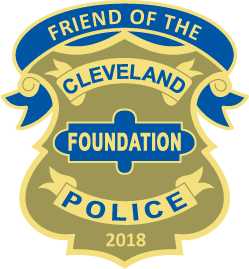 In addition to providing funding for youth and community outreach programs, community policing and engagement initiatives, crime prevention and safety programs, and supporting the members of the Division of Police to help them better perform their duties; the CPF proudly supports the following charities in accomplishing their mission. 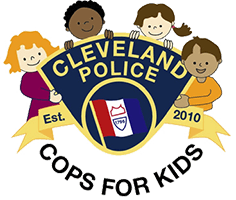 The Cleveland Cops For Kids program’s mission is to establish and strengthen positive relationships between police officers and our City’s greatest asset, our kids. This program allows officers who encounter children who are victims of crime, abuse, neglect or other traumatic situations to respond not only with compassion and concern for their welfare, but also provides the means necessary to support timely aid and assistance, such as food, clothing, gifts, and other care. 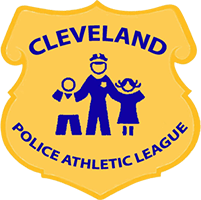 The Cleveland Police Athletic League provides opportunities for children in the community to participate in positive, wholesome sports, recreational, and extracurricular activities. The programs sponsored by “PAL” provide thousands of children between the ages of 5 and 21 with an alternative to life on the streets and provide positive role models who encourage them to stay focused on their education, have respect for others, and become exemplary citizens who are an asset to the community. 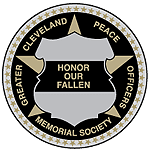 The Greater Cleveland Peace Officers Memorial Society honors all peace officers that die in the line of duty, especially those from Cuyahoga, Geauga, Lake, Lorain, Medina and northern Summit counties. The Society helps to keep the promise to never forget our fallen heroes by providing assistance to the families of officers who make the ultimate sacrifice, maintaining the Greater Cleveland Peace Officers Memorial located in Huntington Park in downtown Cleveland, hosting the annual Police Memorial Commemoration, assisting law enforcement agencies with the planning and implementation of honors funerals, and raising public awareness of the hazards our police officers face daily. 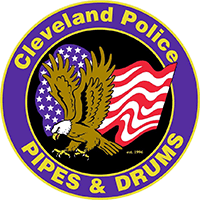 The Cleveland Police Museum’s mission is to collect and preserve police history, and to use its collection and programs to foster mutual understanding and respect between our police officers and the public. 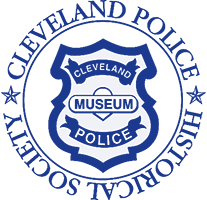 The museum houses extensive and unique exhibits that chronicle the significant contributions made by the members of the Cleveland Division of Police and their predecessors since the founding of the Western Reserve. Located on the first floor of Cleveland Police Headquarters, 1300 Ontario Street, it is open to the public and admission is free. 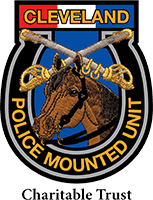 The bond between police officer and their horse is special, and these equine ambassadors also serve to strengthen the relationship between our police and citizens. 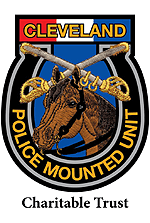 The Cleveland Police Mounted Unit Charitable Trust is supported by individuals and organizations that value the unique contribution the Mounted Unit makes in our community, and provides financial support to ensure its continued service. 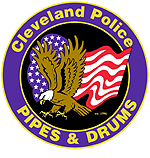 The Pipes and Drums of the Cleveland Police, formed in 1996, serves as the musical component of the Ceremonial Team representing the Division and the law enforcement community of Greater Cleveland at ceremonial events, parades, and civic functions. The band has performed throughout northeast Ohio, United States, Canada and Ireland. 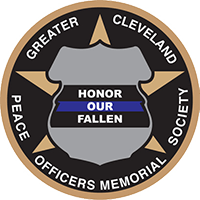 Sadly, in its short history their members have rendered final honors to over 100 law enforcement officers who have died in the line of duty, and over twenty-five U.S. military personnel who made the ultimate sacrifice in defense of our country. 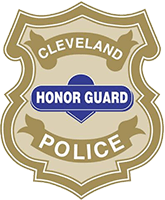 The Cleveland Police Honor Guard ensures that all appropriate courtesies are rendered at the funerals and memorial services for active and retired police officers, especially those who die in the line of duty. Additionally, they represent the Division at civic functions, parades and sporting events by serving as its color guard, and with its precision marching and drill.